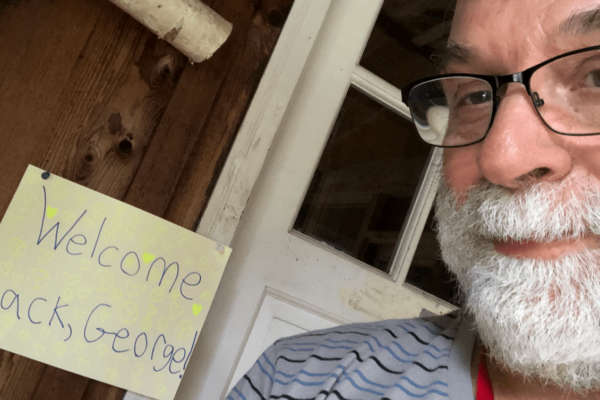 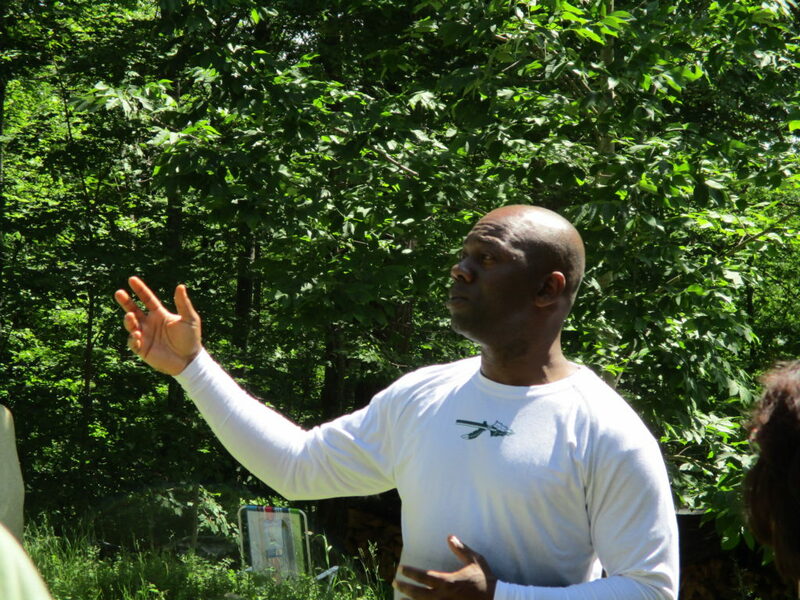 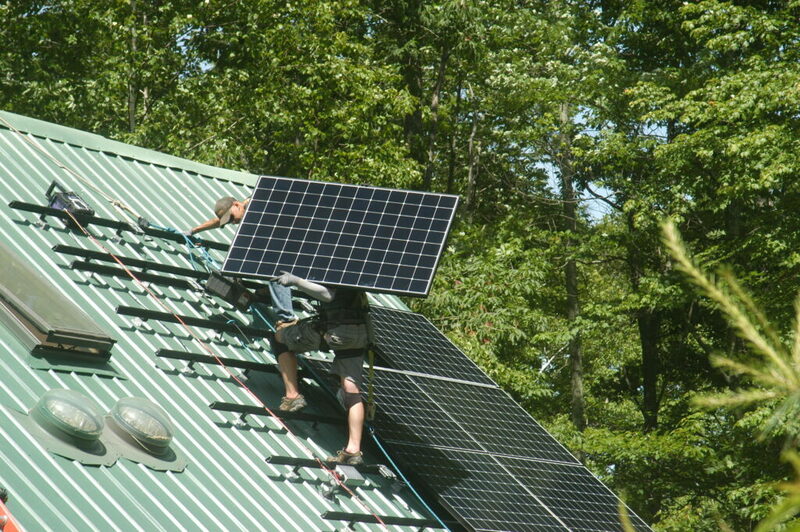 As of June 2018, both of the houses and the electric car at Agape run solely on solar power. 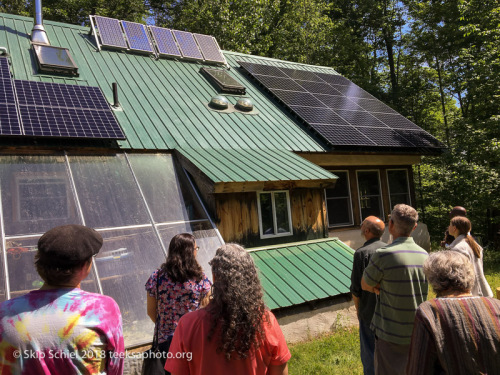 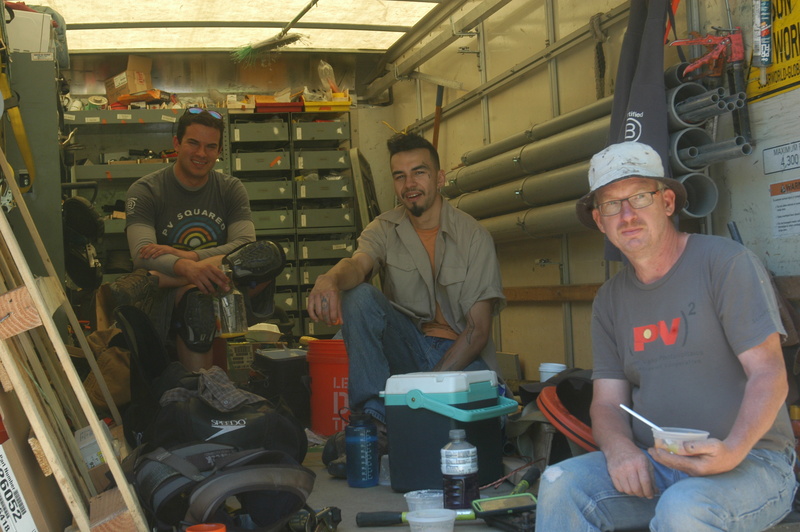 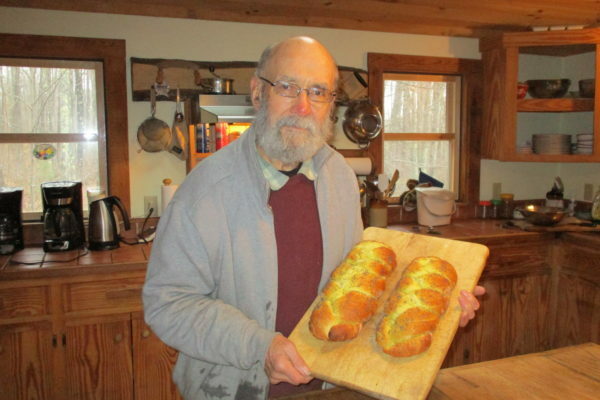 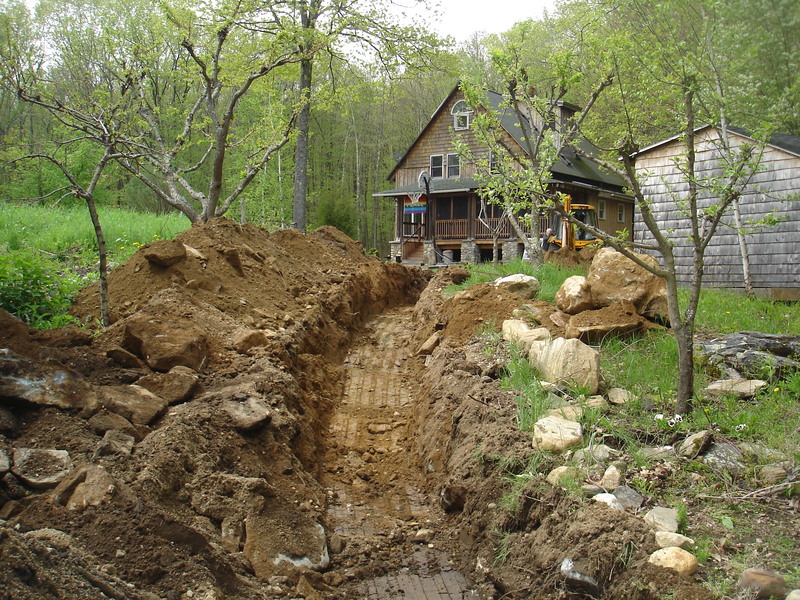 In 1999, Agape began its commitment to solar energy when the community built the Straw Bale House with five solar panels, providing a fraction of that house’s energy demands. 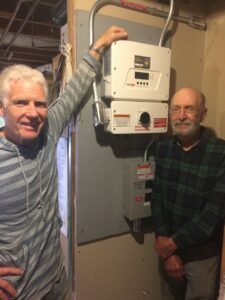 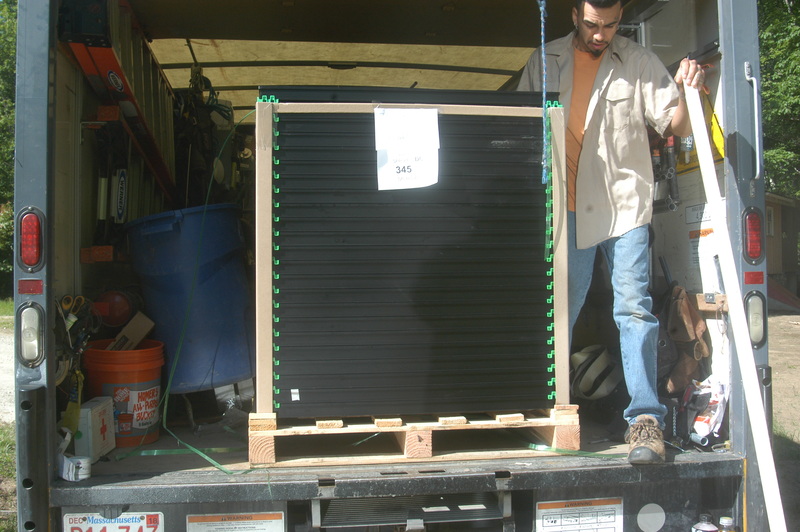 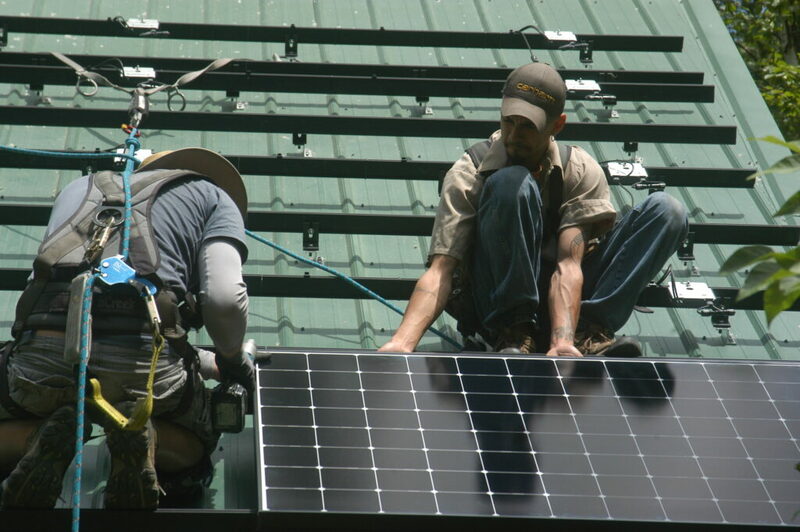 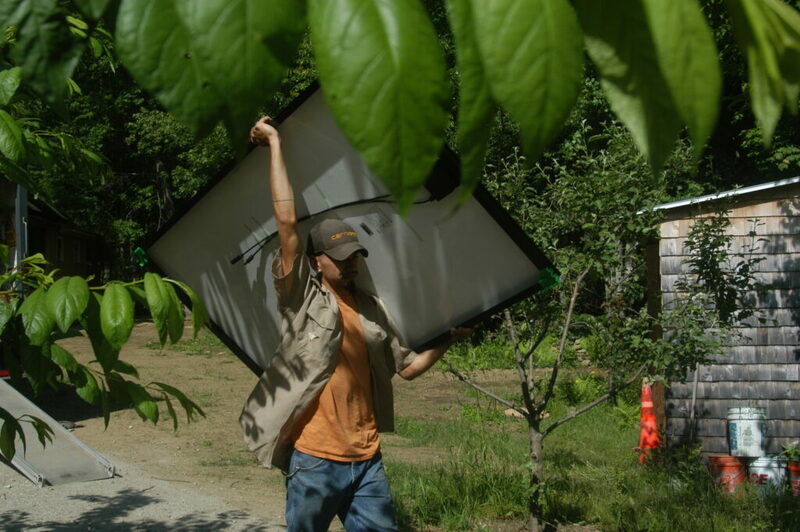 In 2011, the community upgraded to a four kilowatt system and added eighteen panels to Francis House, providing about half of the entire community’s energy demands. 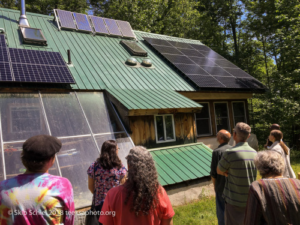 This year, the local solar company PV2 installed twenty more panels on the Straw Bale House, providing all of the community’s energy demands and more. 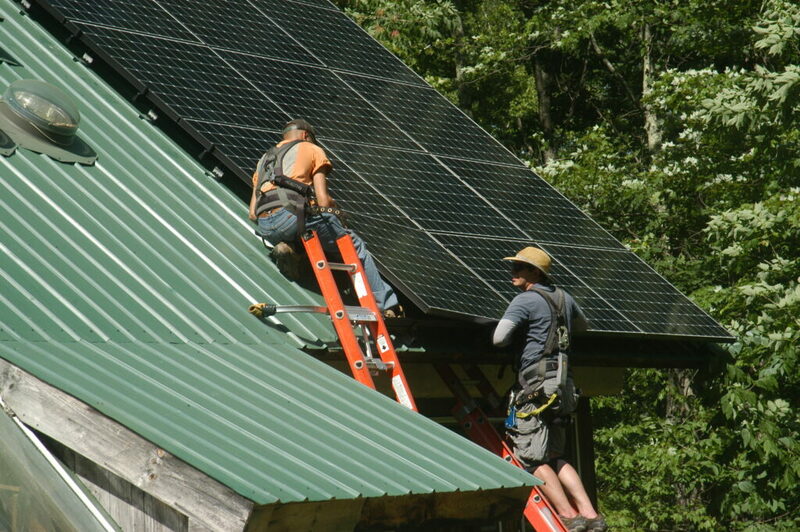 By Massachusetts law, extra electricity generated is sold to the National Grid, a system that is estimated to recover half of the cost of panel installation in ten years. 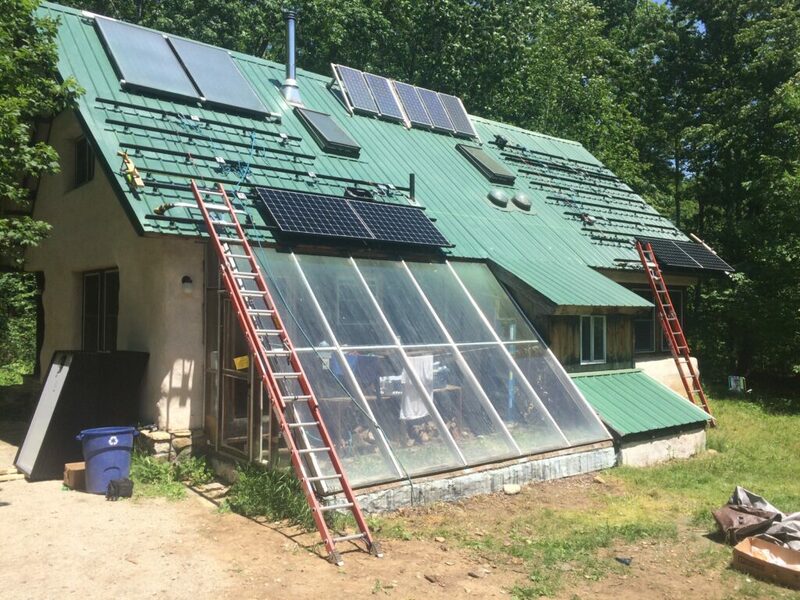 During power outages, the Straw Bale House’s off-grid DC system takes effect, meaning that the house keeps running on its own battery-stored energy while everyone else breaks out candles. 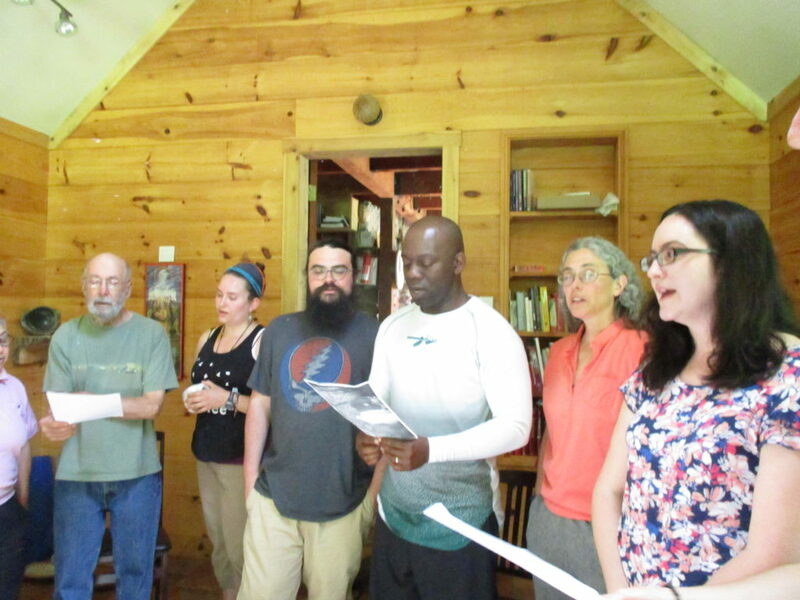 Francis House cannot store its energy, however, and has to break out candles along with everyone else. 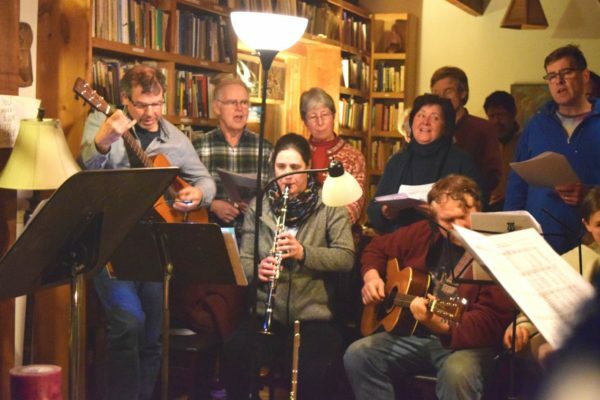 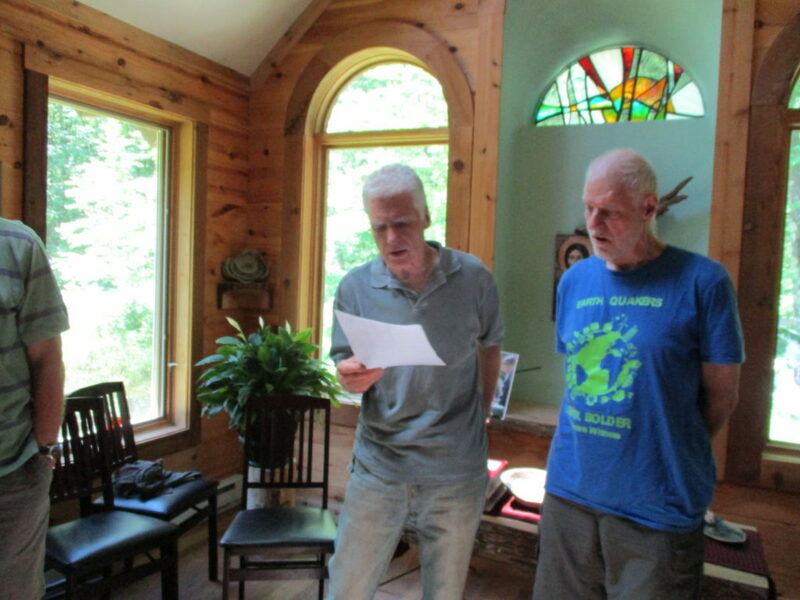 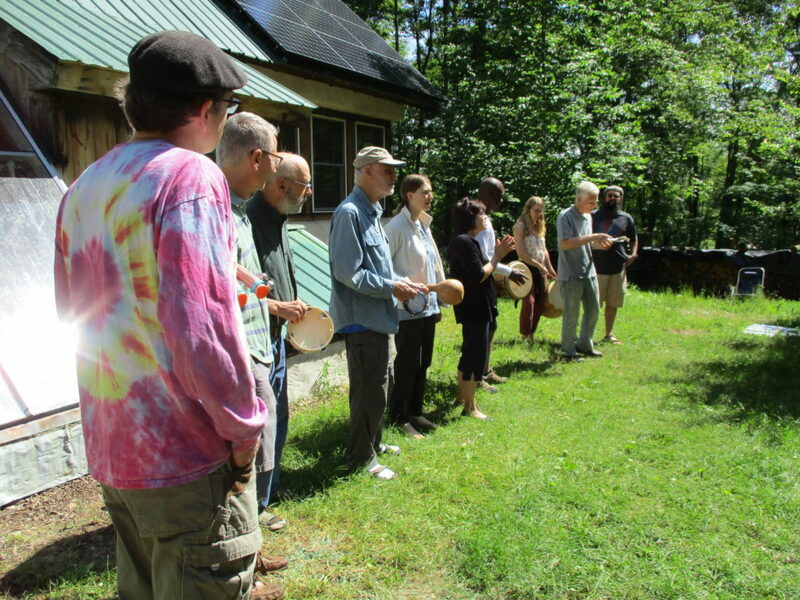 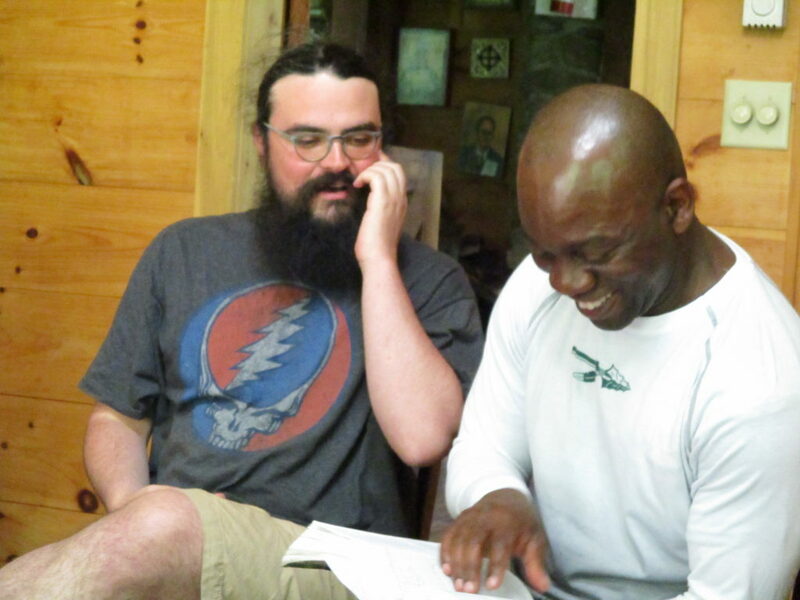 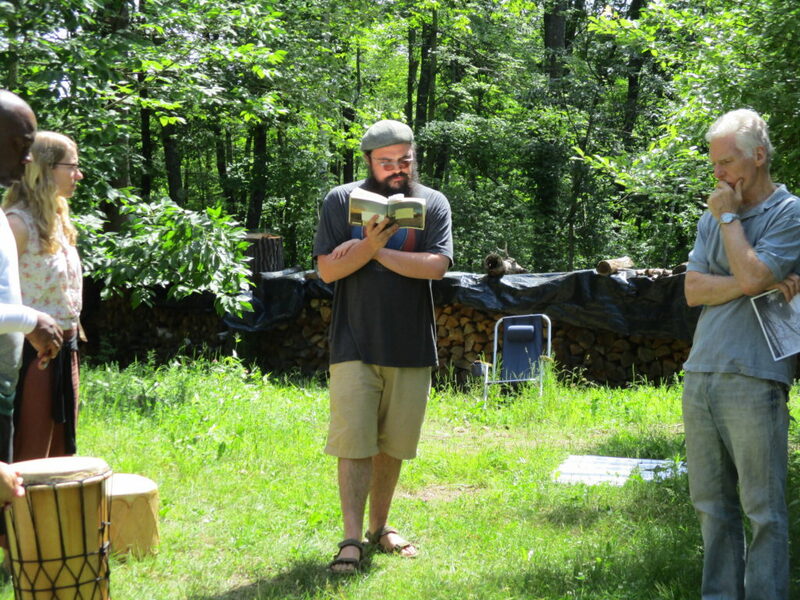 At Agape’s Mission Council Meeting in June, the community celebrated the installation of the panels with drumming, singing, and sharing reflections on solar power.